The Laura Plantation tour begins at 8:15am. Our sister company, “Alert Transportation” does the ground transportation service for us. The driver goes hotel to hotel for the pick up process. We ask for up to 30 minutes for the pick up process. The driver will pick up at the front of the hotel, so please be ready for the pick up. It is a 70 mile ride (approximately 1 hour and 10 minutes), one way to the plantation. You will spend about 2 hours at the plantation. 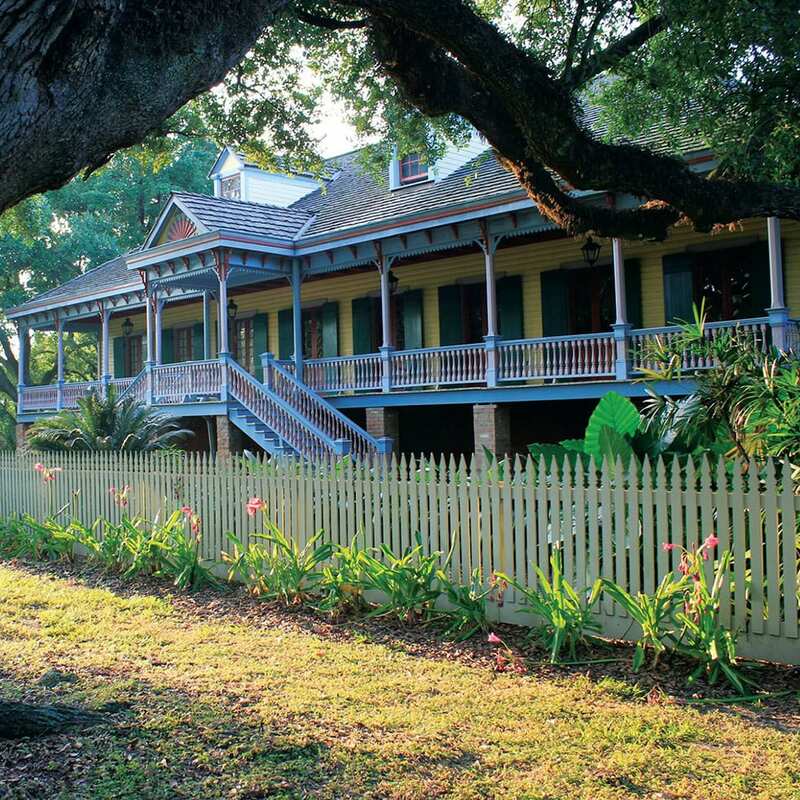 You will be given a guided tour of the Laura plantation House which is approximately 70 minutes. The tour will include history of the property including a walk through of the 200-year-old sugar plantation homestead and 3 gardens (Jardin Français, the kitchen potager & Banana Land grove). On the grounds are 12 buildings on the National Register, including animal barns, overseers’ cottages and the 1829 Maison de Reprise. After your tour, you will have some time to visit the gift shop. You will see the front of Oak Alley Plantation during your trip to Laura Plantation. You will return to your pick up location by 2:00pm. The Laura Plantation tour near New Orleans is considered by many in the tour industry as the best historical plantation tour in the Mississippi Valley. The plantation was run by four Creole women, most notable, was Laura, from where the plantation gets its name. The women ran the plantation over 60 years, using slave labor. You will get to view and enter the 1840’s slave quarters, as part of this tour. You will hear stories of all aspects of the plantation life. including the fact that the book “Bier Rabbit” was written here. The Plantation house was nearly destroyed by fire back in 2003, but it was rebuilt to the original design using building materials from antique homes that was disassembled and sold off in pieces. The rebuilding process, is a story in itself.